Every year, the LAUNCH PAD Summer Reading Series invites three professional playwrights to join the UCSB community as artists in residence. 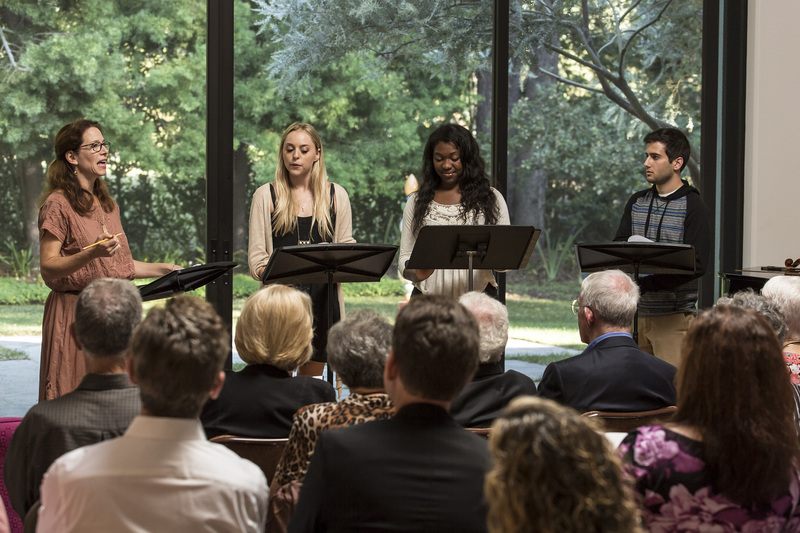 The collaboration between LAUNCH PAD Artistic Director Risa Brainin, a team of undergraduate students and the playwrights culminates in public readings. The Summer Reading Series is of exceptional significance not only for students who learn how to work on a play in its earliest stages, but also for the writers and the audience. As actors and Brainin collaborate during rehearsals, the playwrights are able to fully grasp the potential of their characters and the words in an unrestricted environment. On the other hand, audiences are able to be first to witness the birth of new works and shape the further development by giving feedback. This year the three staged readings, directed by Risa Brainin, will feature new plays from Anne García-Romero, Christina McMahon and Joyce Carol Oates. Please see this page for driving directions! In the present, on the campus of a California public university, Lupe, 30s, a Latina theatre professor, directs a production of the 1613 Spanish Golden Age comedy, La Dama Boba (The Daffy Dame), by Lope de Vega, with a cast of four university students and two community professionals. Amidst budget cuts, diversity protests and faculty opposition, Lupe employs non-traditional casting as she attempts to stage a “bare bones” version of this classical comedy from the Spanish canon. In La Dama Boba, two sisters, Finea and Nise, are in love with a poor schoolteacher, Laurencio, but their lives are upended when their father, Octavio, arranges for Finea to marry a nobleman, Liseo. Nise, the elder sister, is educated while, Finea, the younger, is daffy. However, Finea gains a new kind of intelligence through the power of love. While Lupe directs her actors, tempers flare as conflicts arise when the company addresses issues of race, class and gender in portraying these roles. As opening night approaches, Lope de Vega’s comedy challenges the company to confront their own prejudices by asking the question: Can love help us overcome our differences and truly lead us to a new kind of knowledge? A scene of terror. A plane in freefall, a hijacking. A woman opens her eyes in fear after meditating. Is it really happening? Or is it a delusion, like her no-nonsense nurse practitioner sister says? What is actually going on with their 64-year-old father? To find out, Carina and Audra must fly halfway across the world to the Cape Verde Islands in West Africa, where their father, Martin, has been volunteering. For Carina, an anthropologist who has built her career in Africa, it is also a journey back to trauma. The memory of a dark hour in Mozambique is still fresh in her mind – hidden from her loved ones and unhealed by her compulsive meditations. Returning to the so-called “Dark Continent” means battling her own personal and professional demons, soothing childhood wounds, and watching her father dance with death. Together they breathe deeply, and search for the truth in the trauma. Christina Sian McMahon is a creative writer, academic, and meditation teacher. STANDBY is her first individually authored script. The play received a reading at UC-Santa Barbara in Spring 2014 under the auspices of the LAUNCH PAD program for new play development. It was directed by Risa Brainin. During the almost 4 years she lived on the Cape Verde Islands, she co-wrote and co-directed two plays: Sapatos em Pedaços (“Shoes in Pieces”), an adaptation of a Cape Verdean fairytale, and Prisão do Tarrafal (“Tarrafal Prison”), a docudrama based on testimonies by ex-prisoners of Cape Verde’s colonial-era concentration camp. The latter received a full production at the 2007 Mindelact International Theatre Festival in Cape Verde. Christina received her Ph.D. in Theatre from Northwestern University in 2008. She is a tenured theatre studies professor at UC-Santa Barbara, and the author of Recasting Transnationalism through Performance: Theatre Festivals in Cape Verde, Mozambique, and Brazil (Palgrave Macmillan 2014). She is also a contributor to Conscious Lifestyle magazine, and a new children’s story author (www.christinamcmahon.org). An irreverent, outspoken, & deeply idealistic young woman moves to the Midwest to begin a new life teaching in the "heartland"--but her unbridled tongue & sense of humor get her in trouble. Where integrity is interpreted as a threat to the community -- how can Hypathia Applebaum prevail? In addition to her career as a writer of novels, short stories, critical essays and poetry which have earned for her a National Book Award, a National President’s Medal in the Humanities, and membership in the American Academy of Arts and Letters, Joyce Carol Oates is the author of a number of plays that have been produced in the United States, France, Italy, and Canada (Quebec) at such venues as the Humana Festival of New American Plays (Louisville, KY), the Contemporary American Theatre Festival (Shepherdstown, WV), Theatre J (Washington, D.C.), McCarter Theater (Princeton, NJ), L.A. Theatre Works, and Theatricum Botanicum (Topanga, CA), and elsewhere. Her work has also appeared in the Edinburgh and New York City Fringe festivals. Plays by Joyce Carol Oates are available at Samuel French, Inc. 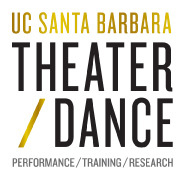 This program is supported by the UCSB Summer Sessions Cultural Enrichment Grant.